Thank you Interact Club Neuqua Valley High School! 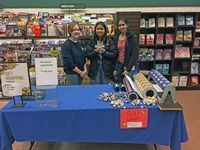 Members of the Interact Club Neuqua Valley High School wrapped gifts at the Barnes and Noble in Naperville on Saturday, 12/22, through Monday, 12/24. 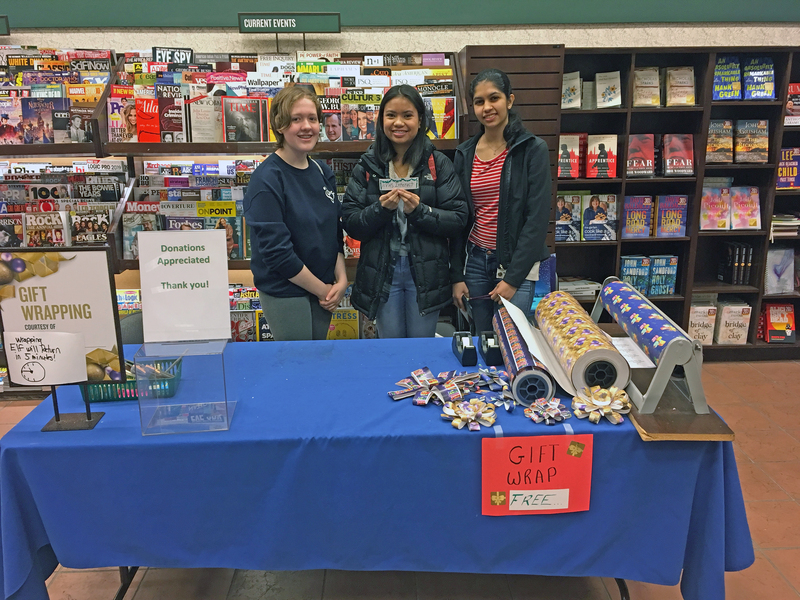 Nora, Reesa, and Gatha (left to right) wrapped gifts to raise money for Feral Fixers. With 4 scheduled days of wrapping, various student volunteers raised $424. Nora Schneider, daughter of Gillian Schneider, and Gillian are long time Feral Fixers supporters, who have fostered many litters of Feral Fixers kittens.